Valentine’s Day is a time for candlelight dinners, boxes of fancy chocolates and red roses. It’s also a perfect time for junk removal. Yes, that’s true. There is no reason why you can’t have a clean home to show how much you love the person you’re living with. This is especially true if you’ve fallen behind on your “honey do” list. That’s the list of projects that begin with “Honey do this and honey do that.” Nothing wrong with taking care of business but sometimes that business can be time consuming and backbreaking. It doesn’t have to be if you hire Junk King to get it done right. With Junk King in charge of your junk removal chore, you’ll have a very capable two-man crew who will do the heavy lifting. This means you won’t run the risk of being out of commission. They’ll be loading up everything you’re tossing out on the back of a huge red Junk King truck. You might have seen these moving vans making their way around East Houston already. Ever since Junk King East Houston began rolling out junk removal appointments they’ve managed to cart off tons of unwanted rubbish from restaurants, schools, homes, apartments and businesses. If you want to surprise your special someone, then you know what needs to be thrown out. Every home has those things that have been officially designated as, “this has to go.” When the Junk King crew shows up, you only need to point out those items, then sit back and watch it disappear. On the other hand, you might not want to surprise your special one but instead get them involved in the “toss out” list. This might end up working out better because then you know you’ll really be getting rid of everything. Another bonus of hiring Junk King is how dedicated they are to keeping East Houston clean. 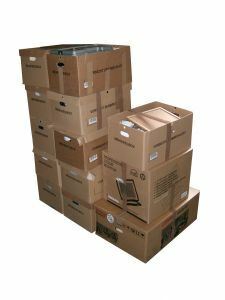 We’re not just talking about removing junk from your home but keeping that same junk out of the area landfills. That means with your Junk King appointment you can claim you’re helping Texas go green. As for pricing, Junk King offers up another special treat. You’re only going to be charged by the amount of junk that crew will load up on the truck. Whether it is a third, a quarter, a half or the whole truck, it’s going to be a rate that is extremely affordable. Plus, no hidden fees. Score major points on Valentine’s Day and get a jump on your spring cleaning. It can all begin with one call to Junk King. This entry was posted in Junk King East Houston and tagged Junk King, junk removal, Valentine's Day on February 13, 2014 by Jose Urdaneta. Last updated August 1, 2017 .